At BrainSmart we work in collaboration with our clients to deliver programmes that closely fit the organisation’s culture, needs and desired outcomes. Whilst we know that the brain benefits from learning new information that is spread out over time, we appreciate what a precious resource time is for our clients and so we are flexible with how we deliver our workshops and development options. The traditional view and role of leadership is changing as businesses strive to adapt to today’s business environment. Technological and social changes are disrupting successful business models and creating faster paced change and greater complexity. Leaders are being challenged to find better ways of leading themselves and others in a volatile, ambiguous and uncertain world. 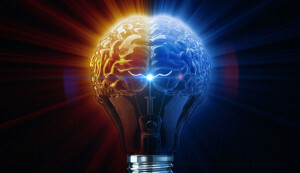 Learning how to lead in a brain friendly way offers competitive advantage. Eighty percent of what we know about the brain has been discovered in the last 20 years, and now this information is available to help leaders think differently, manage energy, focus attention, deal with their own stress and develop the ability in themselves and their people to remain calm, creative and productive. The BrainSmart Leadership Academy is an extensive development programme with an emphasis and focus on personal leadership, self-awareness, effectiveness and the ability to inspire others. Each of the 6 modules builds on the next with projects between modules to embed learning. It integrates the use of personal leadership assessment tools based on the principles of neuroscience to facilitate deeper self-awareness and development of those leadership traits, attributes and behaviours required to thrive in the 21st Century. We know that up to 80% of change initiatives in business are still unsuccessful today (source – McKinsey & Company) and that we need to be able to develop our ability and agility to navigate continuous change and harness the energy and engagement of ourselves and our people. Many leaders, however, are often unconsciously creating stressful workplace environments which can limit effective thinking, demotivate people and leave them depleted and disengaged. Neuroscience is giving us new insights into human behaviour and revealing unseen connections in the living human brain which are showing that not all human behaviours in the workplace work the way we initially thought they did. This has implications for us as individuals, and for how we lead and influence other people. When we understand our thinking and behaviour patterns, the power of our habits and the potential for personal change, we can develop our capacity for being BrainSmart in all that we do. "Understanding how the brain functions (BrainSmart) was fascinating and has helped me to be more aware of and understand my team's reaction to change. I hope to be able to manage change and their reaction better going forward"
For many years it was believed that we had unlimited thinking capacity, but recent brain-based research findings are telling us something quite different. As humans, our brains operate very differently to computers and we are not designed to be ‘on’ and working at high speeds 24/7. As demands increase, we need more resilience (defined as ‘the ability to recover quickly from setbacks and difficulties’). As leaders, we need to build a more resilient workforce and help ourselves and our people learn to be more focused and purposeful to manage scarce resources of available energy and thinking capacity, and to enable us to live healthier and happier lives in times of unrelenting change. We also need to be able to maintain our internal physiological stability (this process is called ‘allostasis’ from allo = variable and stasis = stand). Allostatic overload can occur when demand exceeds our capacity and results in consequences such as breakdown, burnout and illness. In our experience, the degree, frequency and complexity of change that so many organisations are undergoing today has far exceeded our perceived capacity to deal with it effectively. "BrainSmart was really interesting and the information provided around change is quite relevant to the current changes we are about to undertake"
It is estimated that at least 50% of what we do on a day to day basis is driven by habit (Duke University). We use and need habits to help us manage our world, but not all of our habits are helpful. Habits that supported us in one situation may not be so helpful in another. We have the capacity to change our habits and replace them with ones that are more useful to us. This requires us to first know our habits and then to set up different habits and rituals that serve us better. Delivered in 2 parts, the first element of this program explores, uncovers and deals with those fears and concerns we have about speaking in public and influencing those in authority. The second part of the program covers preparation, presenting and influencing skills that result in audiences being and staying engaged and motivated to action. We explore end to end from an attention-grabbing opening to an impactful conclusion and close. Speak UP! Is a comprehensive development program that takes participants on a journey of building confidence, delivering with clarity and gravitas and maintaining control to authentically influence audiences. Speak UP! takes you on a journey of exploration, understanding and taking practical action leaving you energised about your next speaking opportunity. Building awareness of how those judgements and stereotyping we are unaware of are impacting the decisions we make, the relationships we build and the results that we get. Our unconscious biases directly affect not only who gets hired, developed and promoted, but also the ability of teams to perform at a high level, the effectiveness of our leaders in decision-making and change, the health of an organisation’s culture and the relationship it has with its customers. Getting to Grips with Unconscious Bias is a highly interactive workshop that explores the world of human evolution, neuroscience and the different approaches being taken to address workplace bias. The focus is on increasing our understanding of the most prevalent biases that impact our ability to be impartial and objective and on developing practical strategies to deal with bias effectively. We have developed a suite of 6 online modules called ‘Dealing with Change and Building Resilience’ that can be delivered as a standalone in-house facilitated programme, a self-paced learning tool or as a post-workshop development resource. Research shows that the brain retains information best when it is presented in smaller chunks over longer periods of time and with built-in opportunities for reflection and practice in-between. Together with a requirement for flexible learning options, this has been the stimulus for us to create an online option delivered in the client’s own time. We also provide supporting resources to help individuals build their understanding of Change and Resilience and to apply it to their workplaces and lives in real time. We have been working with an organisation in the Financial Services sector since 2016 delivering the Dealing with Change and Building Resilience program in a blended learning format and with significant positive results. "The insight on how the brain works has helped me plan my day and week better to avoid 'going limbic'! I now plan tasks which require new thinking or concentration for limited periods throughout each day and break them up with routine tasks"
All of our coaching engagements include deepening our client’s knowledge of their brain so that they can first understand their thinking and behaviour patterns, then change them to better suit their needs and the needs of the people they manage. Coaching can be offered face to face, by Skype or by telephone and clients are given tools, strategies and exercises to practise in-between sessions. "Clare has been excellent, very professional, thought provoking and a fantastic listener. She has introduced me to new ideas and raised my confidence to another level." We have recently introduced 2 leading-edge tools to support leader and individual development, which utilise cutting edge brain-based and evidence-supported science. We know that the ability to be self-aware is a key component of Emotional Intelligence and it is also crucial for contributing to our own personal journey of development. The tools we use are described below. Each tool is supported by coaching to debrief the assessment and to plan the follow-up development. What is creating value in the current global economy? The team at the About my Brain Institute who created the i4 model believe that it lies in a person's ideas and thinking. Together with an innovative mind, developing personal leadership attributes is vital when collaborating with others to bring ideas to life. Making this happen while staying relevant, requires agility and optimal brain performance to meet the demands of this ever-changing world. The economic landscape and work environments have changed and become more complex than we ever imagined. Existing leadership models have not kept up with these changes, hence the need to adopt a renewed perspective on leadership. The ‘i4 Neuroleader Model‘ proposes a new approach to leadership and a more cost-effective way to reawaken the leadership powers within us, by first identifying our inner abilities and then learning how to use them more effectively. The model features brain and body processes that have been relegated and in many cases forgotten when it comes to leadership and management practices. Abilities such as inspiration, intuition, imagination and the importance of an integrated brain are the origins of the term 'i4'. These four abilities exist in our brains and bodies and anyone can learn how to develop them. It is in the continued development of self and others’ awareness that the strength of this cutting edge tool based on neuroscience principles can be leveraged. Dr Evian Gordon, a foremost neuroscientist, established the key overriding principle of the brain – ‘Safety’ first. His findings underpin much of the work in this field – the role of the brain in maximising safety/reward and minimising danger. The MBSLA leadership assessment is based on ground-breaking work, and measures both conscious and non-conscious functions of the brain. It is an active, direct measurement of brain function and provides a baseline assessment of 17 brain functions with targeted follow up development of these critical areas through online exercises.